West of Eldoret on rangeland, Rift Valley, Kenya. April 2013. 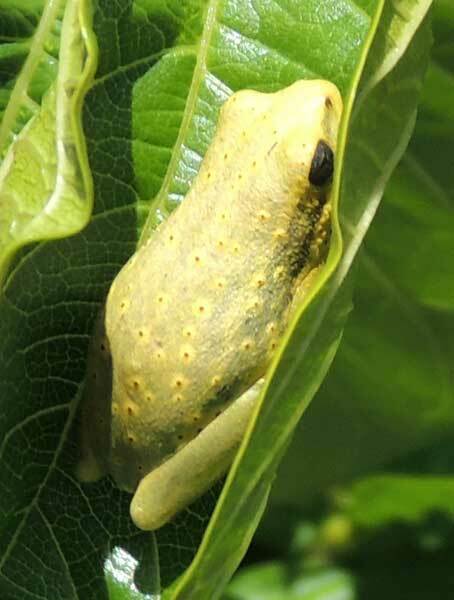 Tree frogs are able to climb verticle surfaces because of adhesive pads on their toes and to skin that resists drying. Most species return to ponds or other water bodies to lay their eggs.